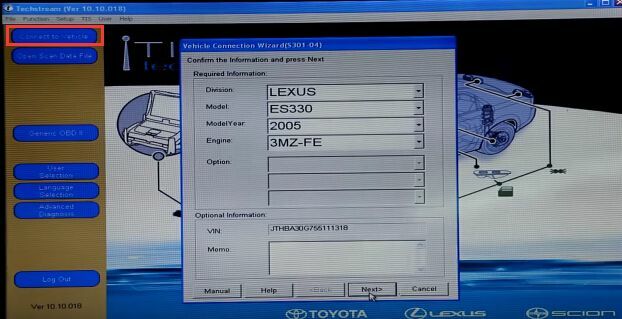 This is a guide for using Mini VCI Cable for Toyota TISTechstream to make a new key for Lexus ES330 2005. Following are operating steps for your reference. Step1. Buy a new key with remote, take out both new key and original key remote chip and fit the original remote chip in the new key shell. So you can use the new key to turn ignition on. 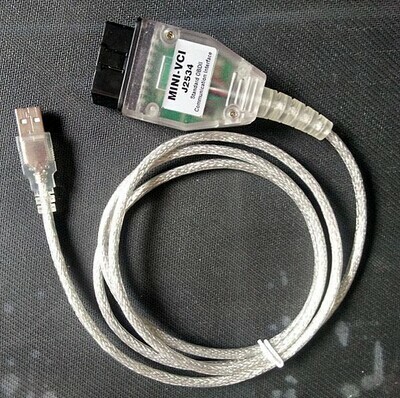 Then connect the MINIVCI J2534 Toyota TIS Cable to car OBD2 port and laptop USB port. Open TIS Techstream software. Step2. Click “Connect to vehicle”, it will show you car information automatically. Click “Next”. Then click “Key Registration” then “Next”. Step3. 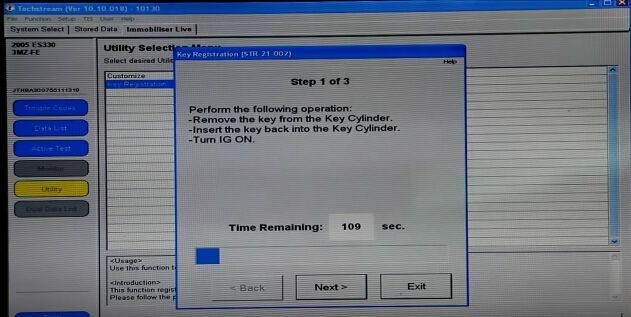 It will ask you to remove the new key from key cylinder then insert it again to turn ignition on. 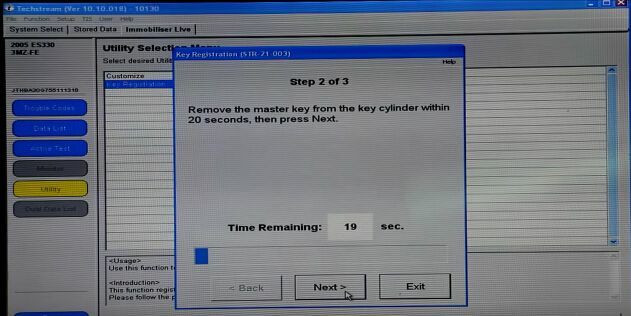 Remove the key from key cylinder within 20 seconds then click “Next”. 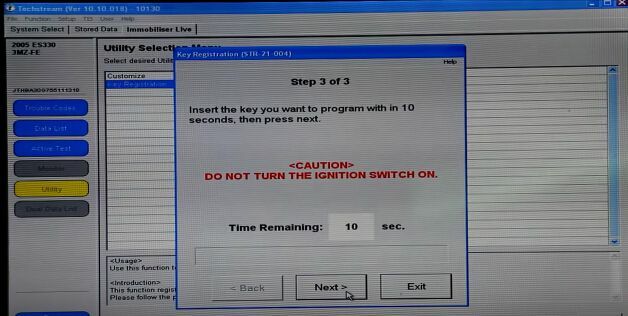 Insert the new key you want to program within 10 seconds. 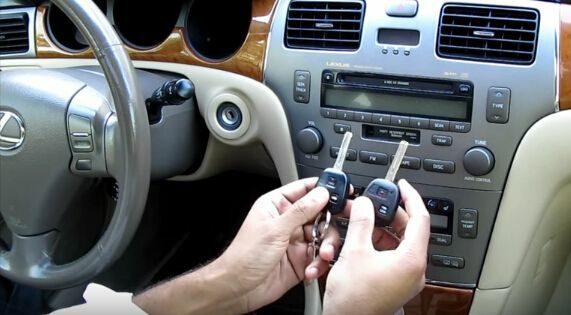 (Now you need to change the original remote chip back with the new unprogrammed chip) And please remember just insert the key, not to turn on ignition. Click “Next”. Step4. Wait for about 75 seconds to complete key registration. 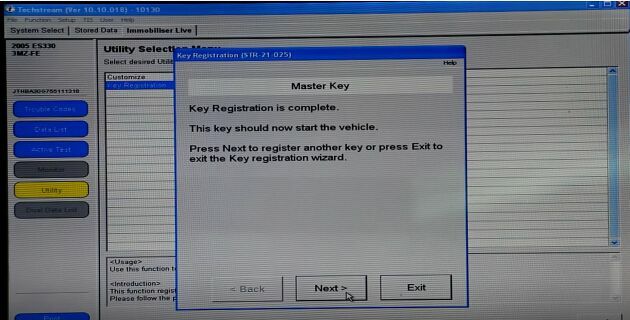 MINI VCI Cable programs the new remote key for Lexus ES330 successfully! Now click “Quit” to stop Techsteam and test the new key with your car! Quick Reply: How Mini VCI Cable for Toyota program Lexus ES330 new key?